Designs have been revealed for a nine-level hotel on a “super site” in Melbourne’s inner south. The client – privately-owned steel construction and equipment hire group Alfasi – appointed Carr architects for the design of the River Street Hotel last month after securing the 2,116-square-metre “super site” in South Yarra. 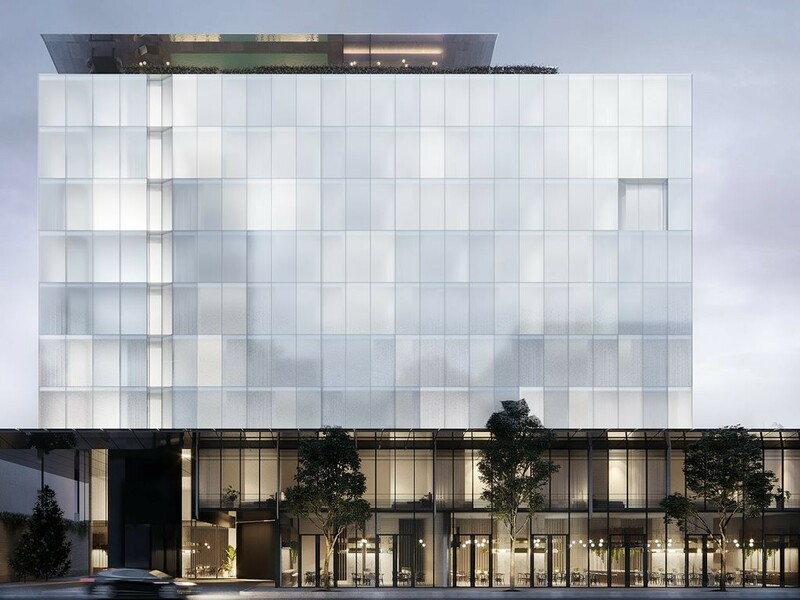 Draft renders show a white, translucent, glass-and-metal structure that Carr says is supposed to “glow from within” when the guest suites are in use. The façade is made up of opaque, articulated glass panels that create an effect of subtle animation, and what the architect calls a “patterned, almost sculptural effect from the street”. “The contrast between opaque, translucent and transparent creates an ethereal and minimalist structure and a unique, edgy presence,” says Carr. Below the translucent white form of the accommodation sits a two-storey podium, which will contain the lobby and a number of ground-floor restaurants and bars. The design of these lower levels sits in contrast to the distinguished upper-level structure, relying on a notably darker palette of metallic materials. “Clad in a dark metallic materiality with a structural form defined by sheer blades and articulated planes, the effect is of solidarity, strength and rigorous detailing forming the base from which the suites sit lightly above,” says Carr. Once complete, River Street Hotel will contain upwards of 150 rooms, which themselves will be designed as “monochromatic, moody and sophisticated spaces”. In addition to these guest suites, the hotel will contain a rooftop terrace and pool as well as restaurants and bars along 50 metres of frontage to River Street. At this stage, it is unclear when the construction phase of the project will begin.